The Steampunk Nail Art Decoration will give you a totally unique manicure. 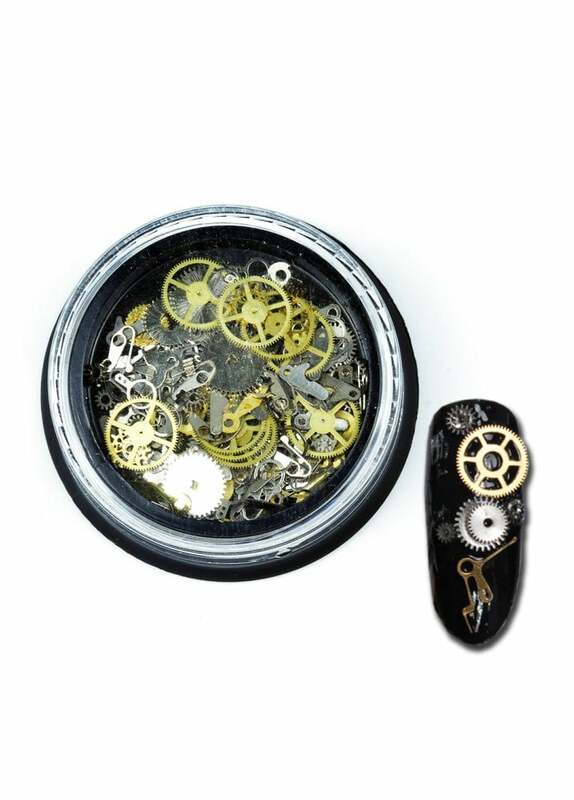 This magic little pot contains ultra thin gears and mechanisms in silver and gold. Just use nail glue to create your own designs!